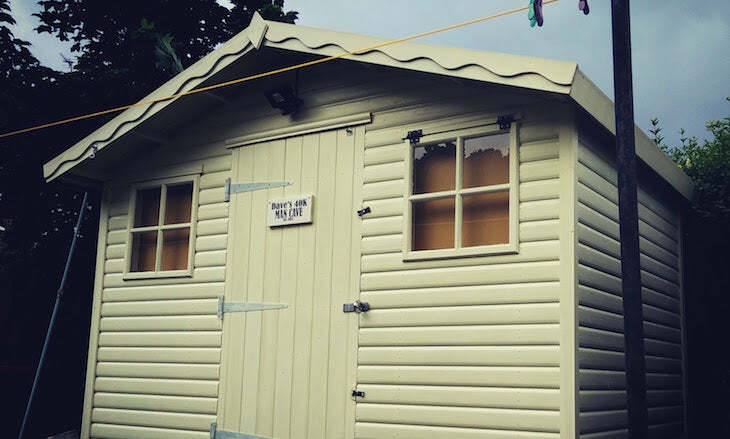 What does go on inside the man cave tucked into the garden shed? It’s a question many may not want to ask as they see the oft-put-upon alpha male of the house sloping off towards their man cave. 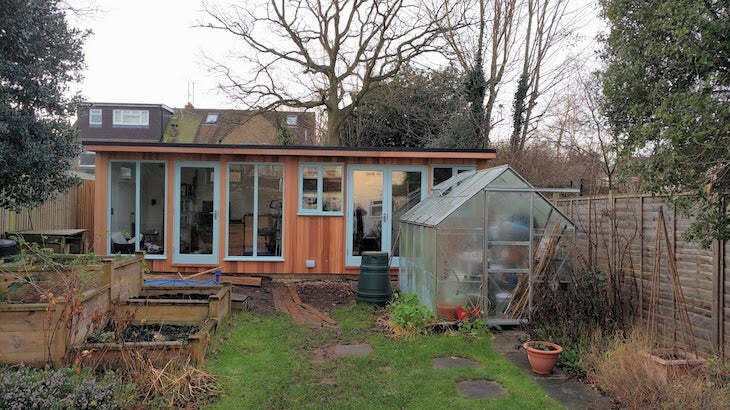 Our Great British Shed survey told us that 15% of respondents spent over seven hours a week in their shed! It’s time to spare some thought for the magic and creativity that can result from those invaluable hours of solitude. Here are six of the best man caves we’ve found. Now where do I hang the picture? 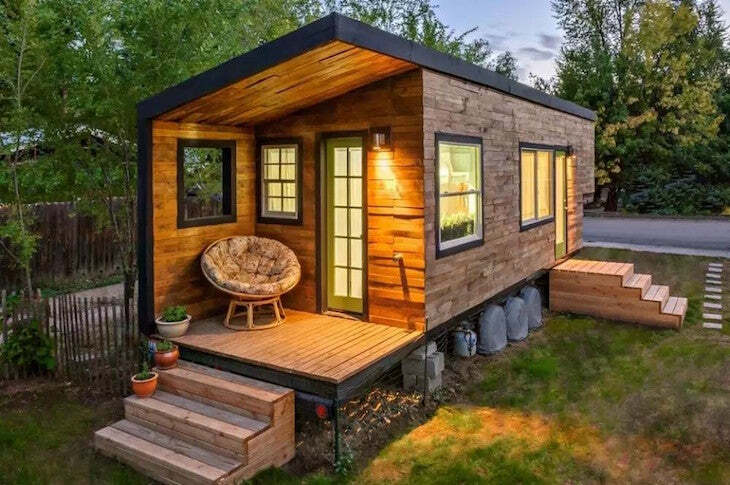 A list of DIY tasks that includes rebuilding the pergola, tiling the porch, extending the patio and rebuilding the garden fence and gate would send some running for the hills, let alone an easily found man cave. 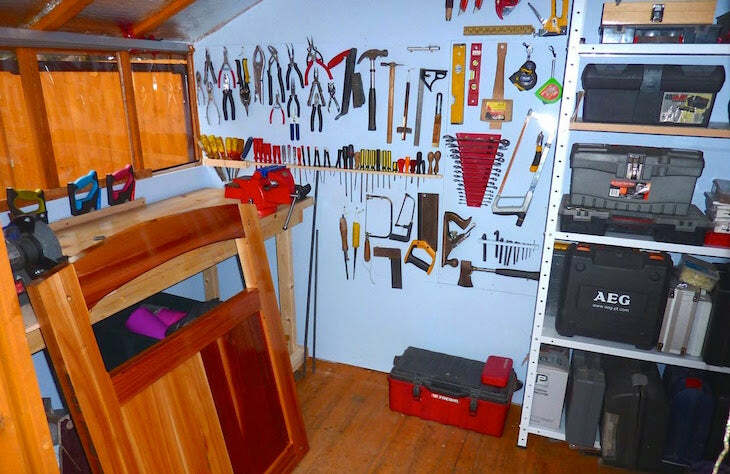 Alan’s got his man cave set up, his storage in order, and his tools are beautifully organised. But did he ever find the time to tile the porch? 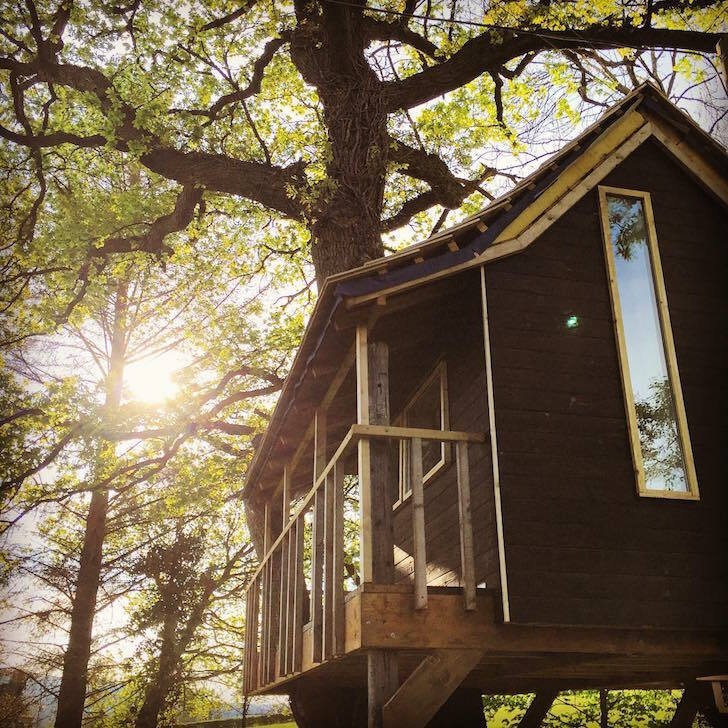 Greig Wilkinson threw those ‘I just want to be alone’ clichés away in building his treehouse retreat with his son, Ollie, in mind. In their hideaway they’ve enjoyed the things that Disney-like childhood memories are made of – roasting marshmallows, brushing teeth over a woodland stream and eating breakfast with the squirrels. “Most excitingly of all, according to my four-year-old, he took a pee off the balcony!” said Greig. Guns, planes, tanks and classic cars… it’s the sort of thing Granada might’ve made a TV channel out of after Men & Motors went under. As well as taking you to Airfix heaven, this man refuge can also transport you to outer space with a wide collection of Star Wars paraphernalia. As Paul says: “Everyone needs Boba Fett in their life”. And what better place to keep a dangerous, blood-thirsty, mercenary, man-hunter than in a cave? Such words of torment from childhood days still haunt the mind of many a man… but not Dave Weston. "PeteB has just finished his own man cave, which I'm immeasurably jealous of because it's his garage converted so there's tons of space and not only is there room for gaming but also a couch. "So with a bit of effort [borrowing back the Land Raider he traded with me] he's managed to cobble together enough Khorne imps to create a 1500pt army suitable for 40k." If life teaches you anything, it should be that you can never have enough Khorne imps. Wooden-it be nice to have a dream man-cave? Sometimes the creativity is all in the planning, and as things stand (or don’t…) that’s the case with the wannabe man-cave owner blogging at Fennel & Fern. He’s got big dreams of making a man-cave shed, complete with a wood stove, mains electricity and a workstation. And his dreams are made of pallets. He’s planning to use the unwanted wooden transport beds to construct his work station, table and chairs, all in a fully insulated, state-of-the-art man cave. Feeling inspired? Check out our guide to what else you can do with old pallets. Visit Lascaux Cave in south-west France and the magical Paleolithic paintings on the walls will transport you through the ages of man. Are you technically minded? You can do the same for your own space. 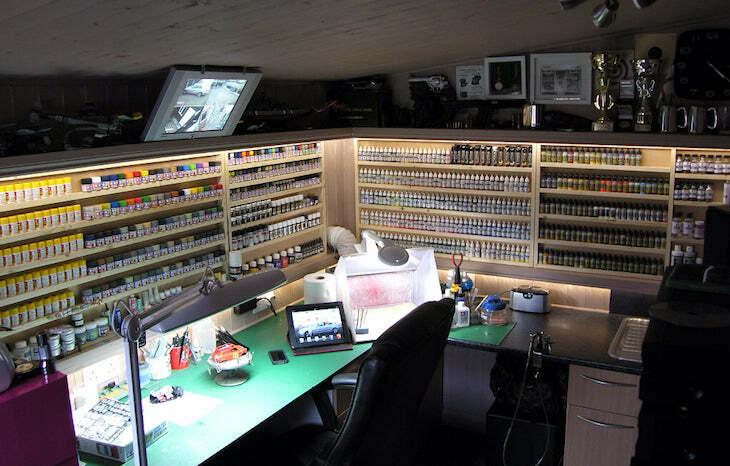 Find the code and methods that John used to set up his speech-controlled man cave on his blog. Now that you’ve seen how creative men can get in their caves, why not let us know what you get up to in your man-cave space? We’d love to see your pictures and hear your story - tell us all about it on Facebook.